Associate Professor Sue Gregory is the Interim Head of School in the School of Education and a UNE Education Scholar. She was previously the Chair of Research and a lecturer in ICT Education. Sue holds a Senior Fellowship of the Higher Education Academy. She is also the Leader for eLearning, ePedagogy and Innovations Research Network Group in the school. Sue is a long-term adult educator and teaches pre-service and post-graduate education students how to incorporate technology into their teaching. Sue has been applying her virtual world knowledge to expose her students, both on and off campus, to the learning opportunities in virtual worlds since 2007. Sue has been involved in many national and university research projects (over AU$1.9m) on creating and using learning spaces in virtual worlds, including five OLT projects, two as lead (see http://virtualprex.com/, and http://smartfarmhub.com/), including one USA National Science Foundation grant. Sue received an OLT citation in 2012. 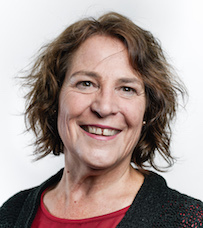 Since 2009, Sue has been Chair of the Australian and New Zealand Virtual Worlds Working Group (see http://www.vwwg.info/). She has written over 130 publications on teaching and learning in virtual worlds and using ICT as a resource in online learning and teaching (see http://www.virtualclassrooms.info/papers.htm). Sue is previously been the Vice-President on the ASCILITE Executive (Australasian Society for Computers in Learning in Tertiary Education) and Editor of five books on teaching and learning in virtual worlds (four as lead editor). Sue has held the positons of Chair of Research and Higher Degree Research (HDR) Course Coordinator in the School of Education (which included Master of Education (Research); Doctor of Education; and, Doctor of Philosophy, in the School of Education). She was also Course Coordinator of Postgraduate Coursework in Education - Graduate Certificates and Master of Education. ASCILITE (Australasian Society for Computers in Learning in Tertiary Education - Executive Member since 2012), Chair of Awards, part of the team Community mentoring program, organsiser and facilitator of the ASCILITE Spring into Excellence Research school and previously Vice-President.